Cloud computing has rolled into the Enterprise. CIOs and IT departments who manage enterprise business applications are now facing an important decision about their PeopleSoft, E-Business Suite (EBS) and JD Edwards applications. Should they maintain their current on-premise applications and upgrade to the next version, or should they consider migrating to a software-as-a-service Cloud applications platform to run their Human Resources, Financial Accounting, Supply Chain, Sales CRM, and other applications? What is clear is that for most organizations doing nothing is not an option. 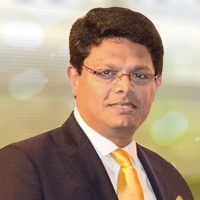 Moving to some version of the Cloud is inevitable - if not by their own choice, then because most vendors are moving in that direction, and will make the decision for them. When clients approach us to discuss their options, they usually have had their internal debates, done their research, evaluated their options, and passed the threshold of indecision about the Cloud. They are now wondering if their business is ready for the Cloud? A number of obstacles stand in the path to the Cloud - technical, cultural, and even political. Will the Cloud be a fit for our company? Which business functions should we move to the Cloud? Which should stay on-premise? What about customizations? How can we bridge the gaps between what we have and what the Cloud delivers? What is our roadmap and roll-out plan? Should we move all at once or in phases? What is the impact on our Total Cost of Ownership? How do we justify the project and the budget? How will my organization handle change management and business transformation issues? Can our people support the Cloud? What type of skills and talent do we need to hire, train and deploy? How do we evaluate and hire an implementation partner? When clients approach us to discuss the Cloud, we convey that we understand their apprehensions. We know that unless a client understands all issues relating to the Cloud, is willing to dedicate resources and staff to the project, and understands the costs and time commitments, their project will not have a successful outcome. So rather jumping in, we recommend conducting a Cloud Migration Assessment. There are many elements to doing an assessment, and most vendors have some form of an assessment workshop. We think these workshops are not just a way to understand what it takes to move to the Cloud, they is also a chance for clients to evaluate the vendor, and make sure that they are a right fit for their needs. It is also important to evaluate the vendor's experience with your current application. What experience do they have with PeopleSoft? Have they done EBS implementations? 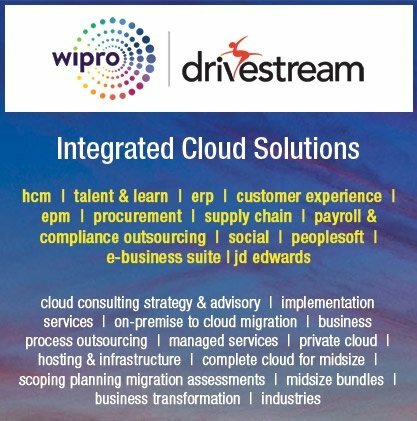 Do they understand the complexities related to JD Edwards enough to understand what to keep on-premise, and how to introduce the Cloud? There are many things to include in any assessment exercise. Clients should get clarity on what exactly the vendor will cover, how the workshops will be run (will they be in lecture form, or interactive? ), and the tools the vendor will use. Map Business Processes - Current business processes need to be mapped to the Cloud. Which Cloud modules map to your on-premise modules? While there some processes map directly, many do not. Assess Impact of Customizations - On-Premise applications, especially those that have been in place for a long time, have a lot of customizations and bolt-on applications. The Cloud has limitations when it comes to customizations (which can be a good thing), but some business critical custom processes need to be maintained. How will this be achieved? Mirror Integrations - Business applications are not islands onto themselves. They are often connected to third party applications, require machine and human inputs, and are tied to web services. The Cloud you deploy needs to fit into these applications. Data Conversion - Businesses have years, sometimes decades, of historical, employment, financial, and other data. How much of this data needs to be converted? What are the cost trade-offs related to number of years to convert? How much is enough? How much is too much? Change Management - Business transformation is complicated. Deploying to the Cloud is not just a technical issue, it is structural, people oriented, and even political. What are best practices when making the change? 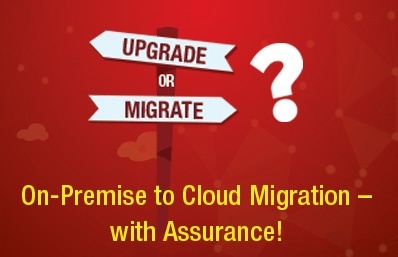 Migration Roadmap - What are the roadmap options for Cloud migration? Should you migrate all at once, or move in phases? Is the "big bang" approach right for you? Which processes do you move first - HR, Finance, Procurement, Sales? Total Cost of Ownership - Finally, no business decision should be taken unless it makes financial sense. The bottom line is the bottom line. What are the relative costs of staying on-premise vs. moving to the Cloud? What are immediate costs vs. long term costs? What will be your cost break-even point, and when will you see positive Return on Investment? As can be seen, Cloud migration considerations are not trivial, and need to be approached with care. It's important to find a Cloud migration partner who can work with you, enhance your strengths, make up for your weaknesses, and be there with you as you cross the chasm to the Cloud. So ask a lot of questions, and make sure the answers you receive make the best sense for your needs.